This classic V-Neck, 3/4 sleeve caftan is made from our signature quality silk and is offered in handpainted design or rich solid colors. Sometimes simple elegance fits the bill. 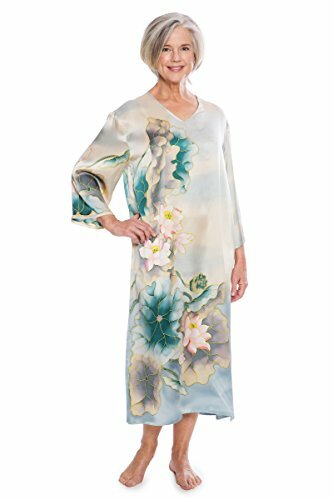 Generously styled to give freedom of movement, while you enjoy the beauty of flowing, luxurious unisize kimono-style gown. A versatile choice for loungewear or sleepwear, and for maternity--before, during and after.